Before I get started, I’m reprinting the comments from our free daily e-newsletter (go to milesfranklin.com to sign up) from our President and Co-Founder Andy Schectman – about the unique tax strategy current regulations afford, regarding the legality of year-end Precious Metal “wash-sales.” That is, the ability to take losses in gold, silver, or platinum trades, and immediately re-invest in kind, without waiting the 30-days required to validate a loss in financial securities like stocks and bonds. 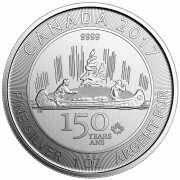 Which not only is a valuable tax benefit, but enables PM investors to “re-position” portfolios – such as, for instance, swapping gold for silver to take advantage of the historically high gold/silver ratio, and the potential “arbitrage” when inevitably, the massive, Cartel-catalyzed difference between Eastern and Western silver prices, shown below, reverts to reality. As 2016 somehow is already winding down, I wanted to remind you of our favorite legal loop hole. It is a little-known yet highly-effective strategy connected with the “wash-sale rule” Section 1091 of the Internal Revenue Code. The IRS defines a wash sale as “a sale of stock or securities at a loss within 30 days before or after you buy or acquire in a fully taxable trade, or acquire a contract or option to buy, substantially identical stock or securities.” The rule aims to prevent investors from generating and recognizing artificial losses in situations where they do not intend to reduce their holdings in the securities that are sold. So, if you want to claim a loss on the sale of a security (like a stock, bond, option, fund, etc. ), you must wait 31 days to repurchase it or a “substantially identical” security. 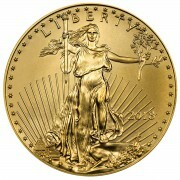 Perhaps you noticed that the words Precious Metals are not mentioned in the IRS definition. That is because the law pertains only to securities and not to physical commodities such as precious metals. In plain speak, this means that bullion items are not subject to a holding period for tax-swap sales. If you’re sitting on losses in your precious metals position, this tax move allows you to realize these losses without losing possession of your metals. And if you are like many of our clients that purchased over the past several years, you are sitting on some losses in your precious metals holdings. For a small fee or surrender of some metals, to execute and unwind both sides of the trade, you can sell back your metals to us, take the tax loss for 2016, and repurchase the metals at today’s prices. 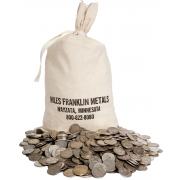 We will also perform this service for metals that you may have purchased from other vendors before joining Miles Franklin. You can offset any gain – dollar for dollar. If no gains are available to offset, you can take $3,000 per year until the loss is extinguished. The process is simple. Contact your Miles Franklin Broker, or contact us at 800-822-8080 to discuss the specifics of your unique situation. We will provide you with an assessment of your potential Tax Swap. Of course, we will give you the information you need to contact your tax accountant or professional for their confirmation. We will assist you in every step along the way. Fortunately, my work is truly a labor of love – which I could never have imagined having the opportunity to actuate when I wrote my first missive for the GATA website, circa 2004. When, I might add, I was still a mainstream sell-side oilfield service, equipment, and drilling analyst at Citigroup-owned Salomon Smith Barney in New York. And yet, perhaps 3,000 articles later, and ten years into my “second life” in Colorado, I’m writing every day, podcasting several times a week, and communicating with some of the world’s most intelligent, conscientious people. To boot, I’m working with one of the bullion industry’s best companies, and have built a network of “good smart people” unmatched by 99% of financial industry participants. For all these things I am thankful, even if my ultimate goal of being rewarded for being right has been delayed for a decade by the destructive, sociopathic “powers that be” who, in a demonstration of unprecedented hubris, believe they can get away with stealing the world’s wealth at the expense of the “99%.” Who, if the past year’s Greek, Catalonian, Italian, and BrExit referendums; and U.S. Presidential election; are any indication, are finally starting to fight back – and win. No matter what said “powers that be” have tried to suppress gold – the latest attempt being the lunatic “cash ban” that ultimately, will spectacularly blow up in the face of the “financial Hitler” that is Indian Prime Minister Narendra Modi – Precious Metals’ now 17-year-old rebirth has continued to gain momentum, particularly in the 180 or so currencies that are not the world’s reserve currency. In other words, roughly seven billion people are experiencing powerful gold bull markets; and whilst the road higher for silver has been slower – due to it being more manipulated, given its much smaller size; and thus, “rig-ability” – it most definitely bottomed last year, with moves far more spectacular than 2011’s surge to $50/oz in the not-too-distant future. The fact remains, that no amount of money printing, propaganda, and market manipulation – such as the “dead ringer” algorithm supporting the Dow each day, and unbacked paper PM attacks at “key attack times” like the “2:15 AM EST open of London “pre-market” session, the 8:20 AM EST COMEX open, the 10:00 AM EST close of global physical trading, and the 12:00 PM EST “cap of last resort” (all of which, occurred yesterday) can prevent history’s best Precious Metal fundamentals, and worst “everything else” fundamentals, from their inevitable date with financial market destiny; particularly now that blaring “end game signals” like surging interest rates, plunging currencies, and parabolically rising debt are dominating the financial landscape. Just in the past 24 hours alone – on what frankly, could be considered a “mild” news day, the Chinese government, through one if its state-owned newspapers, espoused that “the Chinese economic downturn is just now beginning, and will last a long time, as China has passed its economic boom period, in which many problems were hidden that will now gradually surface.” To the end, Kyle Bass predicted a 30% Yuan devaluation yesterday, validating what I opined more than a year ago, when I first predicted the “upcoming, cataclysmic, financial big bang to end all big bangs” a mere 24 hours before the initial Yuan devaluation from 6.2/dollar to 6.6/dollar – which has since risen to 6.9/dollar, on the cusp of the “key resistance level” of 7.0/dollar that most market participants believe will represent a major inflection point once crossed. Which I assure you it will be, the second the “powers that be” lose control for even a tiny, tiny bit. Meanwhile, Fitch reduced its outlook on the dying Italian banking sector to “negative” (what took them so long? ), as the lame duck Italian government all but ordered its third largest bank, Monte dei Paschi, to prepare to be nationalized this weekend. Simultaneously, Bank of England Governor Mark Carney stated that the world faces its “first lost decade since the 1860s”; whilst a report that exploding November OPEC oil production – to a fresh all-time high – put further doubt into the viability of last week’s “deal”; which with 100% certainty, I expect the financial markets to start discounting in the coming weeks and months. Even more troubling for said “powers that be,” the “worst-case scenario” of a near-term “snap election” in Italy – perhaps, as soon as February – appears far more likely than the “early 2018” prediction propagandist lackeys like Goldman Sachs made just 48 hours ago; in which, it is highly likely that the vehemently anti-Euro Five Star Movement will be victorious. In other words, it is not just possible, but probable that both FrExit and ItaLeave referendums will be held next year; both of which, will have far higher odds of passing than this year’s EU-crippling BrExit referendum. 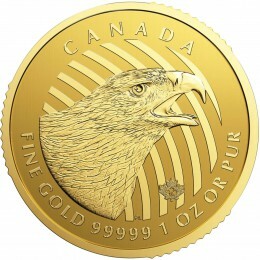 All this, as Russia completed its largest-ever monthly gold purchase; China, the year’s largest month of physical offtake from the Shanghai gold exchange; the U.S. Mint, its largest monthly gold Eagle sales volume; and oh yeah, the long-awaited Sharia gold standard update was finally approved, for immediate implementation by the world’s110 million Muslim investors. Meanwhile, here in the United States of Economic Lies, mortgage and refinance applications – i.e., the backbone of America’s debt-fueled spending binge – continued to plunge, whilst core durable goods orders contracted for the 22nd straight month (on a year-over-year basis); the trade deficit surged due to the rising dollar; corporate productivity suffered its first two-quarter decline in 23 years; and fast food traffic declined for the first time in five years, “recovery” and all. This, atop Friday’s brutally ugly “jobs” report, which couldn’t be more ominous given that the government increased the national debt by nearly $500 billion in the four months preceding the election, in a desperate, failed attempt to goose data enough to get Hillary Clinton elected. In the ECB’s case, expectations are the polar opposite of the Fed, now that the Italian referendum result has all but sealed the outlook for political and economic chaos for the foreseeable future. Let alone, the aforementioned, imminent bail-out of Monte dei Paschi, which is highly likely to occur this weekend. To that end, it is widely expected that the ECB’s insane 80 billion Euro per month QE program will be extended by an additional six months, taking its planned termination date to the end of September, in a program that thus, will last at least 2½ years. Not only that, they must broaden the list of eligible “QE-able” securities, given that two years of QE has pushed the ECB to the limit of what they can currently buy. Such as, for instance, Italian government and corporate bonds. And trust me, if they do not do these things – and do so as “dovishly” as possible” – all hell will rain down on European financial markets, as they did last year when Draghi got “cute” with his prognostications for a mere moment. This, ironically, as the Euro currency he vowed to do “whatever it takes” to save 4½ years ago sits barely above its 14-year low; which inevitably will be taken out, no matter what he tries. Which, in turn, will catalyze hundreds of millions of Europeans – and other global denizens, using currencies pegged to the Euro – to consider protecting their “monetary” holdings with gold, silver, and anything else they can find to hedge the Euro’s inevitable, and perhaps imminent, demise. As for Whirlybird Janet, she will unquestionably be on the “hot seat” I described this weekend. Trust me, the Fed is as “data dependent” as ever – at least, regarding their expectations of financial markets reactions to their comments and actions. And double trust me, they are ready, willing, and able to play the “Italian card” as an excuse to be dovish, even if they go ahead, as widely expected, with the 25 point basis point rate hike the markets have fully priced in, care of the recently re-awakened (after three decades) “bond vigilantes” having already done it for them, by a factor of three. In other words, Yellen can actually raise rates “dovishly,” given that a piddling 25 basis point hike would be hopelessly behind the curve that the 75 basis point market movement has done already. Which, in light of the aforementioned, perilously ominous “international developments” the world faces, she must back up with uber-dovish commentary, or risk a market hissy fit far worse than last December, when the Fed raised rates – again, by a measly 25 basis points – for the first time in nine years. Then again, a LOT can happen between now and next Wednesday, so keep your eyes peeled for anything that might be considered an excuse for the Fed to delay raising rates (less likely); or, more likely, increase the “dovishness” of its rhetoric. Which frankly, is all the markets care about; just as in the case of the ECB, all it cares about is the six-month QE extension. In this moment of temporary market quietude, and historically suppressed Precious Meal prices, the time is NOW, more than ever, to use this window of opportunity to PROTECT yourself.